Shotgun Wedding draws from a wellspring of country, Americana, alt-country, rock n’ roll, and the boogie-and-stride piano tradition. With reverent intentions and restless creativity, the five-piece band has boldly settled its own authentic homestead. The group boasts four very individual and accomplished songwriters and lead vocalists, and sumptuous four-voice harmony passages. 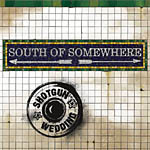 Shotgun Wedding has garnered favorable comparisons to Asleep At The Wheel, Dan Hicks and The Hot Licks, Little Feat, Zac Brown Band, and Shooter Jennings. The band cites influences as diverse as Johnny Cash, Merle Haggard, Willie Nelson, Speckled Red, Professor Longhair, AC/DC, Jim Campilongo, and Karen Carpenter. Shotgun Wedding is Dennis DelGaudio, guitar/vocals/bandleader; Wade Preston, piano/ vocals; Catherine Porter, vocals; Andy Cichon, bass/vocals; and Chuck Burgi, drums. The quintet has the rare distinction of being fulltime acclaimed musicians with impressive resumes pursuing a passion project out of sheer love of the music, their chemistry as a creative unit, and the deep bond of friendship they share.